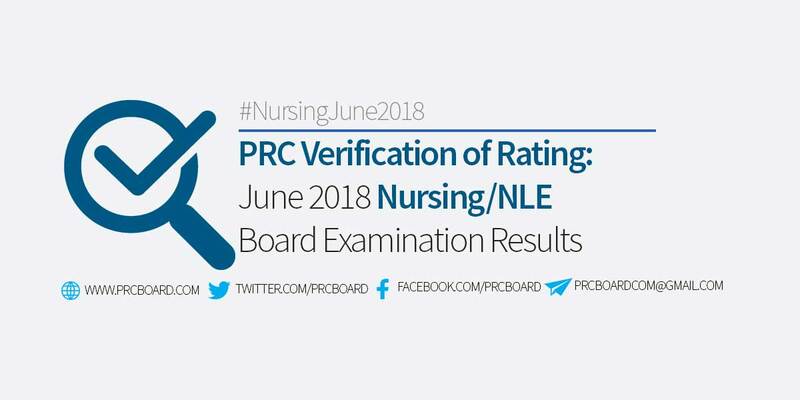 MANILA, Philippines - The verification of ratings and test results for the June 2018 Nursing/ NLE board exam given by PRC Board of Nursing will be available online few working days after the posting of results. Passers of June 2018 Nursing board exams are advised that the Professional Regulation Commission has fully utilized the online registration for issuance of Professional Identification Card and Certificate of Registration. The date of registration are provided in the main page together with official results. To keep updated on related news and announcements about Nursing Board Exam result for June 2018, we advise our visitors to bookmark this page, visit PRC official website, follow us at our social media pages via Facebook and Twitter or join the members discussions at our Facebook Group. Matagal man ang ratings Ng June 2018,,wat happen??? Ang tagal po ng ratings . . .
We need to know our rating. Please lang.